Click on any of the links below, to view thumbnail images from our big trip. You can click on any of the thumbnails to view larger images, and then use the "Next/Previous" buttons to browse all the larger photos in each group. Enjoy! 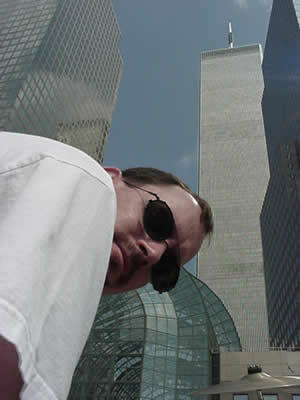 NOTE: These photos were taken during our June/July 2001 trip, prior to the tragedies of Sept. 11, 2001. We have the fondest memories of NYC "then," and our hearts go out to those lost or affected by the mayhem of NYC "now."